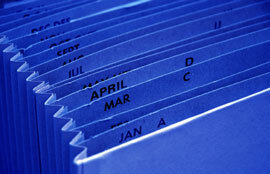 The yearly financial statements of a business can have many uses. To benefit from the tax savings and legal protection of limited liability, a company (or LLP) is required to meet certain statutory requirements, which include filing accounts online with HMRC and Companies House. Partnerships and sole traders are only required to file a Tax Return although, along with companies, they may find it valuable to have accounts prepared for management accounting or financial accounting purposes. Prepare information for calculating business tax and producing Tax Returns. Assess the net value of the business at the year-end based on assets and liabilities. Analyse the performance of your business, in comparison with preceding years. We use professional software to produce accounts to the standard format and file these online with Companies House and HMRC. Our systems are efficient with transferring relevant data from the accounts to the Tax Returns, for submission online to HMRC. We can also help you use your accounts to analyse trends and improve the financial position and performance of your business. We would be pleased to adapt the statutory accounts at your request to a report for financial accounting or management accounting purposes. We aim to prepare accounts which are well-presented and clear to follow. I recently setup a limited company at the end of last year and I would like to get an idea of your fees for managing my tax affair.